Do you adore the look of marble tiles, but hate the cold and hard stone surface? 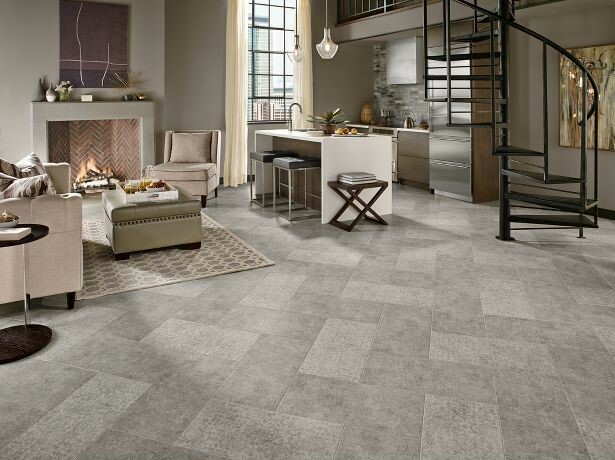 With luxury vinyl tile (LVT), you do not have to sacrifice comfort for beauty! 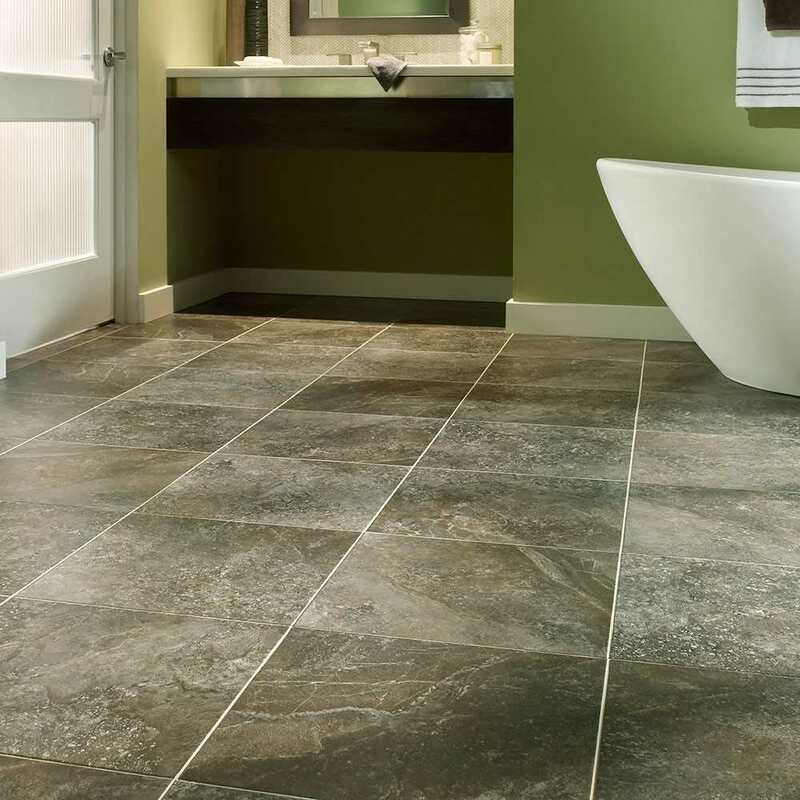 Luxury vinyl tile is the best of both worlds – it showcases the beautiful appearance of stone or tile without any of the uncomfortable cold and hardness. Designed to last for decades, LVT is water resistant; therefore, it is quite versatile and is more durable than laminates and hardwood. Visit our showroom to view samples and feel the comfort of LVT in person! Alterna LVT is the perfect alternative to ceramic and stone floors because of its uncanny resemblance. Through a special process, Armstrong ensures each vinyl tile has true-to-life colors and textures to enhance the realistic stone visual. Comfort is one of the main emphases of Alterna. Instead of a cold and hard surface, Alterna has a welcoming surface that is comfortable to walk on. With a more forgiving surface, Alterna offers warmth and comfort that stone and ceramic tiles fail to provide. Alterna’s durable engineered stone construction allows easy cleaning and maintenance. Each LVT is produced with a durable, protective top layer that resists wear and stain. In addition, Alterna grout is also stain-resistant. With Armstrong’s lifetime residential warranty for the Alterna collections, you can be sure your floor will deliver long-lasting beauty and durability. Adura is the next generation of luxury vinyl and is the fastest growing category in the flooring business. Adura offers the elegance of tile, stone or wood without the pains and worries of discomfort. Available in a wide variety of styles, sizes, textures, and installation options, this LVT is one of the most versatile flooring choices. 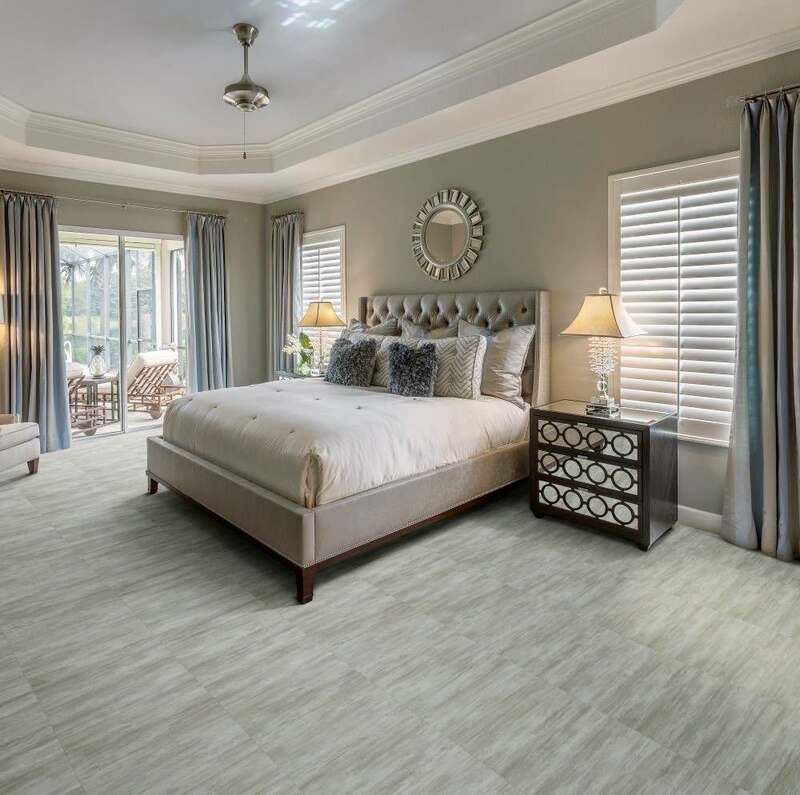 Mannington Residential combined advanced printing and texturing technologies with their patented Mannington Scratch Resist coating technology to produce realistic stone and wood patterns while providing exceptional durability. In addition to the limited lifetime residential/6 year light commercial warranty, Adura is FloorScore certified – meaning it underwent inspection and met the strict guidelines for indoor air quality. Therefore, you can choose Adura with confidence knowing that this quality LVT will hold up to all kinds of lifestyle for you and your family. 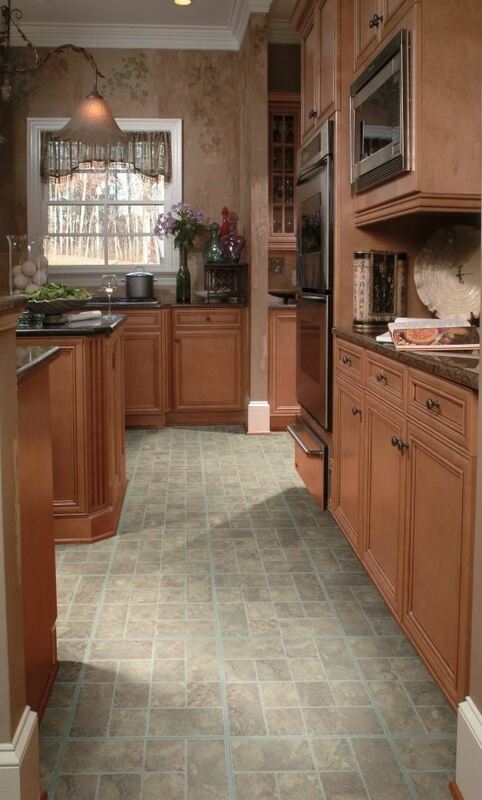 EarthWerks luxury vinyl tile is a popular flooring choice due to its unique designs, functionality, and affordability. They have one of the industry’s largest collections of designs and offer a broad variety of installation options. EarthWerks LVT is manufactured with their Tuff Shield double coating method. This extra coating offers additional protection against normal wear. In addition, the waterproof and durable properties of their LVT makes this flooring a versatile choice for any room in your home, especially for high moisture rooms like the kitchen, bathroom, and laundry room. As a bonus, when you purchase EarthWerks products, you’re green-conscious because they are a part of the Green4Life program, which ensures their luxury vinyl tile is environmentally friendly and recyclable.